Tooting is a district in South London, England, situated in the London Borough of Wandsworth. Tooting has a long history dating back to pre-Saxon times. It has a large area common land known as Tooting Commons. Tooting can be reached by car via the A29. Tooting has good bus links. The three nearest railway stations are: Tooting railway station, Balham railway station and Haydons Road railway station. Lanes School of Driving started giving driving lessons in 1914. It became known in the local community through word of mouth. Today Lanes is well established as a leading driving school with a reputation for excellence. Each pupil is a unique individual, and at Lanes, pupils are given driving courses to meet their own unique requirements. Pupils who want to fast-track their learning can chose one of our intensive driving courses. Pupils are taught theory either as practical lessons or as part of a separate course. When pupils have passed their test, they can continue their learning with after pass courses. These include: Pass Plus, Motorway Driving, Parking Skills, and Advanced Driving. Lanes appreciates that students can lead very hectic lifestyles. At Lanes, pupils have great flexibility in arranging lessons at a time that best suits them. Regular weekly lessons are recommended, but single lessons can also be arranged. Each pupil at Lanes is provided with the same instructor throughout their lessons who will be familiar with their particular sticking points. Lanes has a selection of excellent cars available. Instructors are happy to pick up students before lessons begin and will return them home safely at the end. 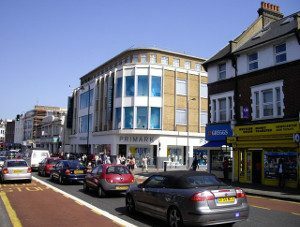 Lanes have been providing driving lessons in Tooting, London for many years. Please call us today on 020 8166 5678 or click here to send us an email via the contact page. Lanes has over 40 driving instructors available. Pupils can pick the one that best matches their needs. Our instructors have years of experience of teaching pupils of all ages from 17 to 70 and over. They will be happy to reassure nervous pupils. Lanes’ instructors each have the top industry qualifications: they are registered with the DSA and certified as Approved Driving Instructors. Pupils will stay with the same instructor for the whole course to ensure their progress is efficient. Lanes have a team of driving instructors in Tooting, London. Please call us today on 020 8166 5678 or click here to send us an email via the contact page. At Lanes we appreciate that first time drivers can be nervous. Female learners in particular often express reservations about having a male instructor. Fortunately, at Lanes, pupils can opt for one of our many female instructors. Our female instructors are gentle and kind and will not put pupils under pressure. We often find that female pupils will learn much faster in this kind of environment. Lanes have a selection of female driving instructors in Tooting, London. Please call us today on 020 8166 5678 or click hereto send us an email via the contact page. Many pupils would rather learn in an automatic car as opposed to a manual one. It is true that manual cars have the advantage of allowing greater control. However beginners often do not want to face the added challenges of commanding a manual car. Automatic cars are undoubtedly easier to learn from – they do away with the need to master gear changing or clutch control. We often find that pupils learn faster in automatic cars. Lanes have a selection of automatic driving instructors in Tooting, London. Please call us today on 020 8166 5678 or click here to send us an email via the contact page.